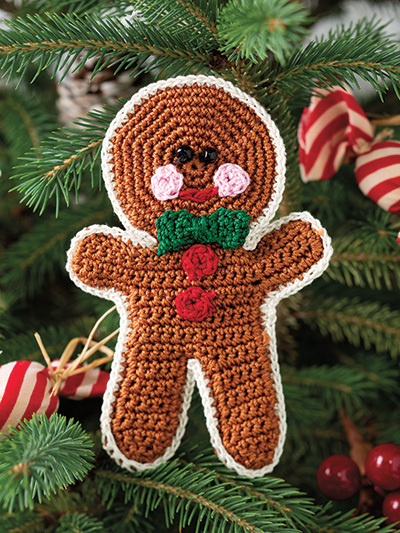 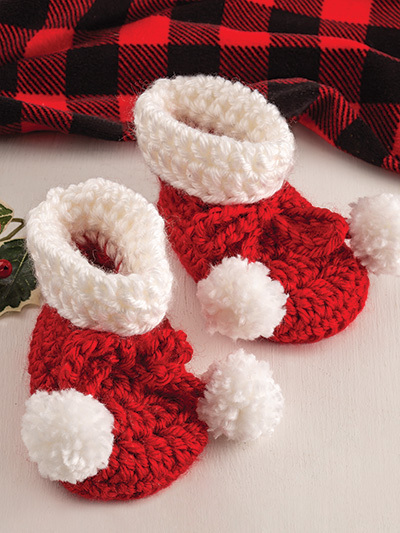 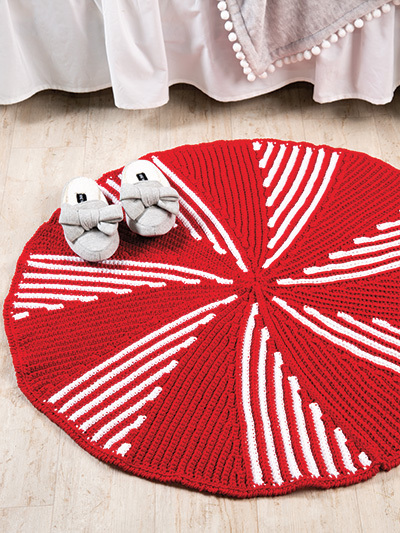 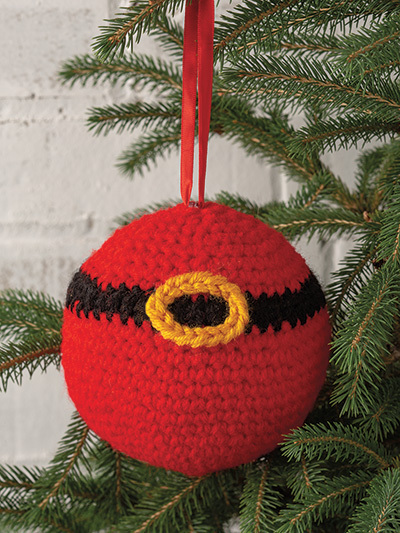 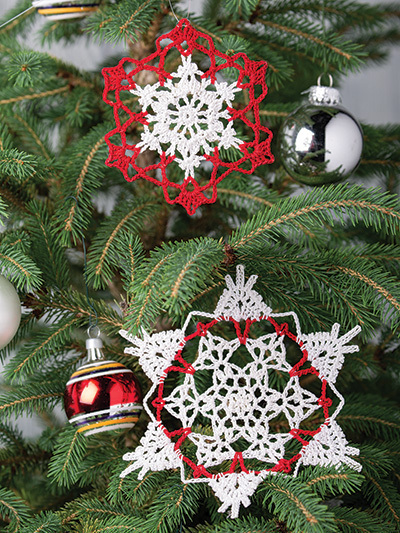 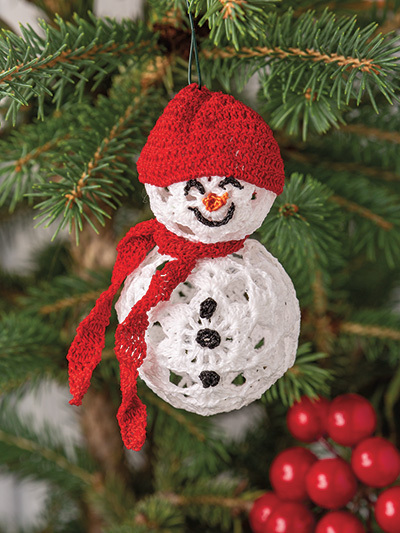 Have yourself a merry little Christmas as you crochet for the holidays! 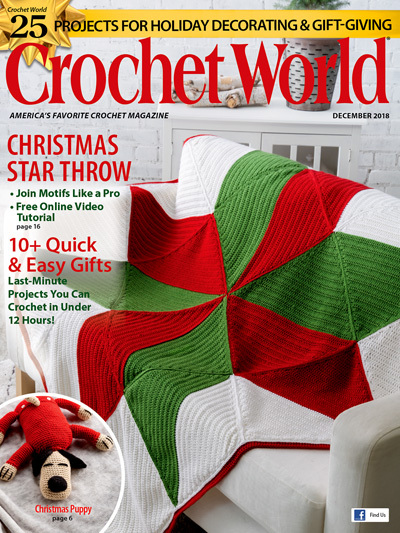 You'll love our December 2018 issue of Crochet World that's bursting with 23 from-the-heart projects to decorate your home or give as gifts. 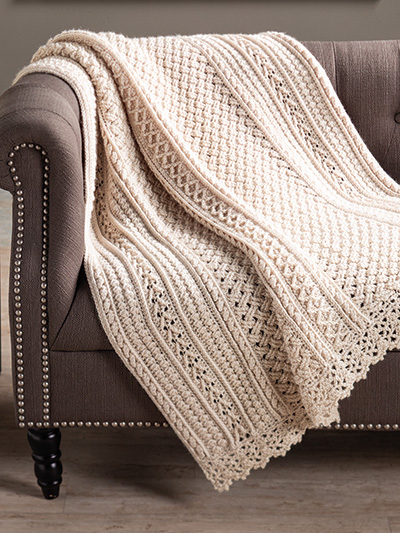 Keep cozy beneath a downy soft blanket of snow with our Snowy Evening Afghan. 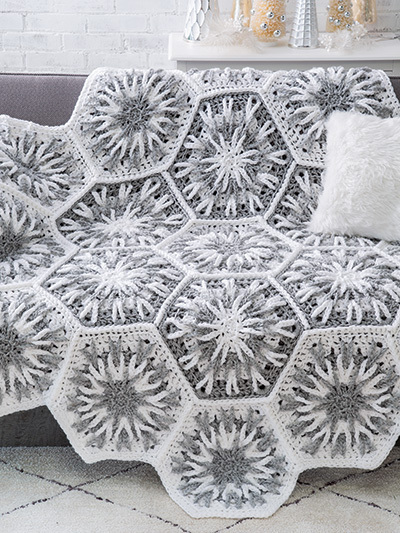 Create a stunning wintry throw of quick-to-stitch, crystallized snowflake motifs crocheted with 2 strands of worsted-weight yarn held together. 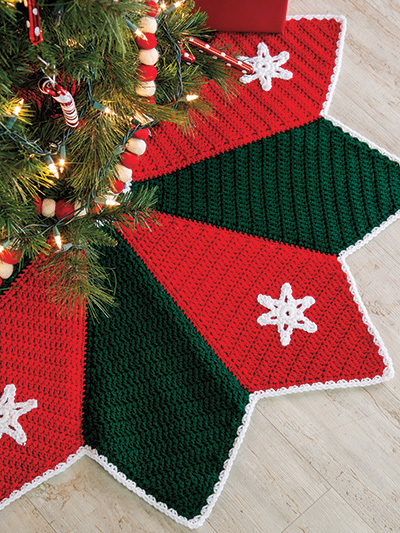 Add a festive touch to your home when you stitch our striking Christmas Star Throw. 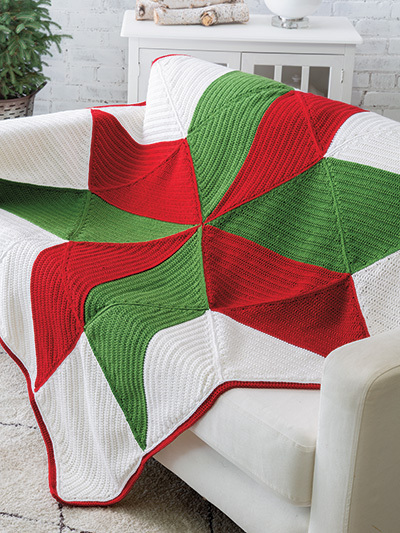 Based on the popular sawtooth star quilt pattern, this bold geometric throw is sure to brighten up your holiday decor. 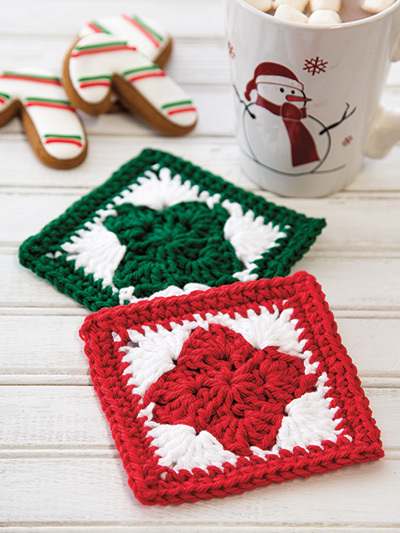 Spread the Christmas cheer when you crochet our featured Designer Spotlight project, Christmas Puppy. 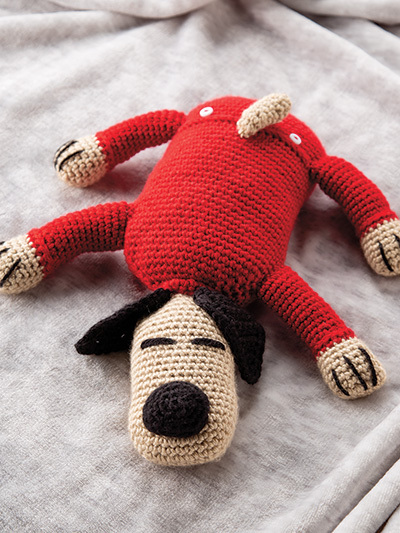 Crafted with simple stitches and techniques, this sleepy little puppy is sure to steal your heart! 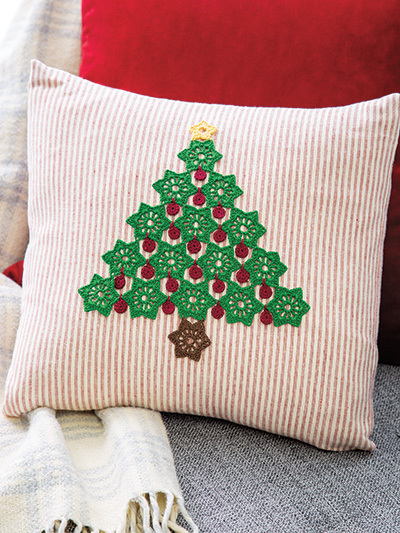 Plus, enjoy a free online video tutorial and discover how to seam together motifs like a pro. 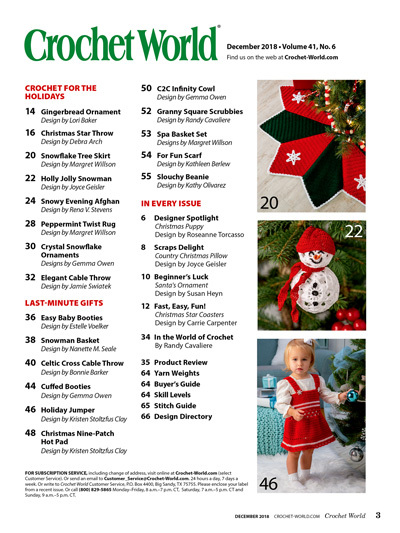 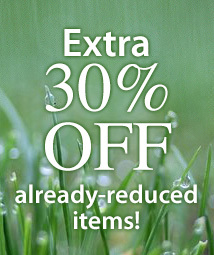 Get all this and more when you download (or subscribe) today!